Nine people including a police officer and a Kenya Airways employee were Wednesday night arrested and 29 fake passports and 39 visa seals found on them in a police sting operation in Nairobi. The police officer works at the Jomo Kenyatta International Airport while the other suspects include two Ethiopians, two Somalis and two Bangladesh nationals. 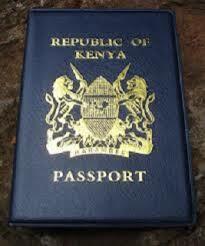 The KQ employee is said to have been helping other suspects with fake papers to pass through the airport. Police involved in the operation said the foreigners arrested in Ngara area where they had been living were headed for Mozambique, South Africa and Angola and would end in Europe using the fake papers. The fake visa papers are for European countries, the officers said. The operation also recovered laptops, printers and laminating machines from the house in Ngara. Head of Special Crimes Prevention Unit Noah Katumo said they are looking for an official at the immigration department after he was mentioned in the cartel and investigations. “We do not know how many people have managed to pass the airport using these fake documents but we are trying to establish. It seems to be a serious cartel,” he said. The suspects are expected in court on Thursday. He warned that using or printing a fake passport is a threat to national and international security. Katumo added that their operations on the other missing and wanted persons are ongoing. The arrests and recovery come in the wake of terror threats amid claims that terrorists are increasingly using fake identification documents to access some areas while planning to attack.